"Their generous legacy will now enable research into the diagnosis and treatment of the disease to continue moving forwards"
After losing his wife Linda to ovarian cancer in 2017, Graham Atkinson made the decision to leave a gift to Ovarian Cancer Action in his will. The Atkinsons’ close friend and executor of their will, Jim Edwards, shares their story. “Linda sadly lost her battle with ovarian cancer in August 2017, fourteen years after her initial diagnosis. 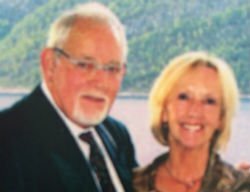 Her husband, Graham, who had nursed his wife through her illness, decided that were he to die he would leave a substantial financial donation to Ovarian Cancer Action. Their generous legacy will now enable research into the diagnosis and treatment of the disease to continue moving forward. Linda was first diagnosed with ovarian cancer in 2003 aged 55. As with many cases, she was told for some time that 'the bloat' was probably to do with IBS and not anything to worry about. Linda and Graham were due to go on holiday to Tunisia and she had confirmation from her doctor that it was fine to go and enjoy herself. Whilst there she became very unwell and was taken to hospital in Tunisia, where it was suggested that she return home as soon as possible and seek urgent medical advice on what could well be a serious problem. Upon her return, she had many litres of fluid drained from her, now seriously swollen, abdomen and she was relatively quickly diagnosed with ovarian cancer, which came as a huge shock to her and all her loved ones. Sessions of chemotherapy and a full hysterectomy followed, after which she had more chemotherapy. Linda was so grateful to her family and friends, who were a great source of support at this difficult time. Although Linda lost her hair, she never lost her zest for life, her sense of humour or the will to carry on her fight to survive. Linda recovered well and enjoyed a good quality of life with husband Graham, her two sons Ian and Andrew and their families and her wonderful circle of close friends. Linda had always liked walking but after her diagnosis she became a true 'hiker', carrying out many long and arduous treks; the longer the better as far as Linda was concerned! However, after one walk, Linda started suffering with a bad back and after various tests and investigations it was discovered that she was now suffering from myeloma; a blood cancer. Linda and Graham were told it was treatable but not curable. After this diagnosis Linda's health and energy levels fluctuated frequently, with periods of being quite unwell and other times when she felt relatively good. 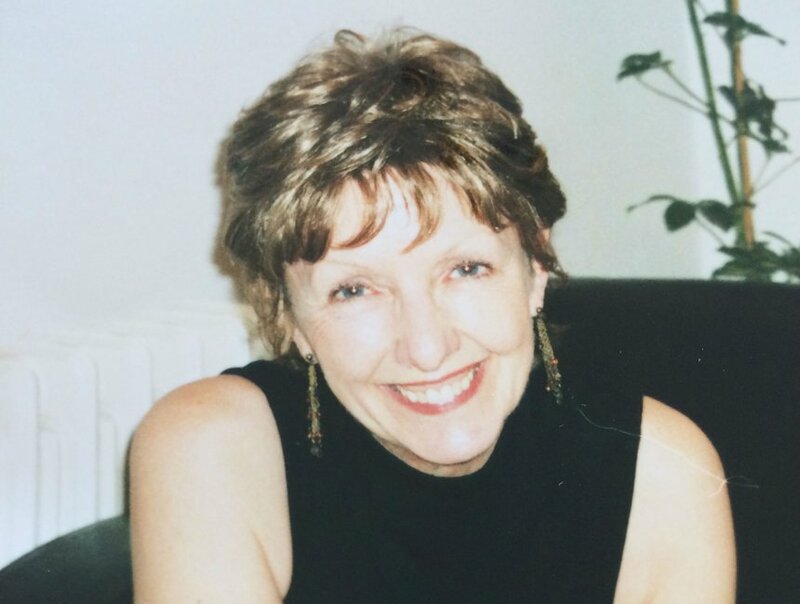 Prior to her passing, aged 68, it was discovered that Linda’s ovarian cancer had also returned. Graham had always tried to give Linda the life, the love and the support that such a courageous lady deserved. He couldn't carry on knowing she had lost her fight and he felt that he 'could have done more'. This wasn't true of course. Graham's broken heart finally stopped working altogether just eight months later. Since losing his beloved Linda Graham always felt that he wanted some of the wealth that they had accumulated to do some good. That is why in his Last Will & Testament Graham made provision for money to go to three very special charities that were dear to both him and Linda. He hoped that with more financial support, more stories of hope, more research and greater medical advancements there can be more chance of us all standing together as one to bring about even more positive outcomes. Linda and Graham were both inspirational people who always thought of others before themselves. Long may they live in our memory. By leaving a gift to Ovarian Cancer Action in your will, you will help ensure a better future for women with ovarian cancer. Find out more about leaving a legacy. Leaving us a gift in your will help us continue our fight against ovarian cancer.